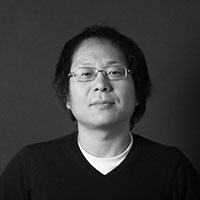 Dae-Sik Moon’s research interests lie primarily in experimental astrophysics and astronomical instrumentation, along with observational studies of various objects. His research focuses on compact objects, including black holes, neutron stars and X-ray binaries. He is also interested in supernovae and supernovae remnants (both stellar and gaseous), optical transients, ultra-luminous X-ray sources, massive stars, and Gamma-Ray Bursts. Moon is deeply involved in the design and development of novel devices (e.g., polarization gratings), techniques for astronomical applications, and instrumentation including: MSAMOS, the Multi-Shutter Array- Multiple Object Spectrograph; and WIFIS, the Wide Integral-Field Infrared Spectrograph. WIFIS saw first light in 2017 on the 2.3-metre Bok Telescope at the Steward Observatory in Arizona.